Our annual Festive Evening is back, bigger and better than ever! 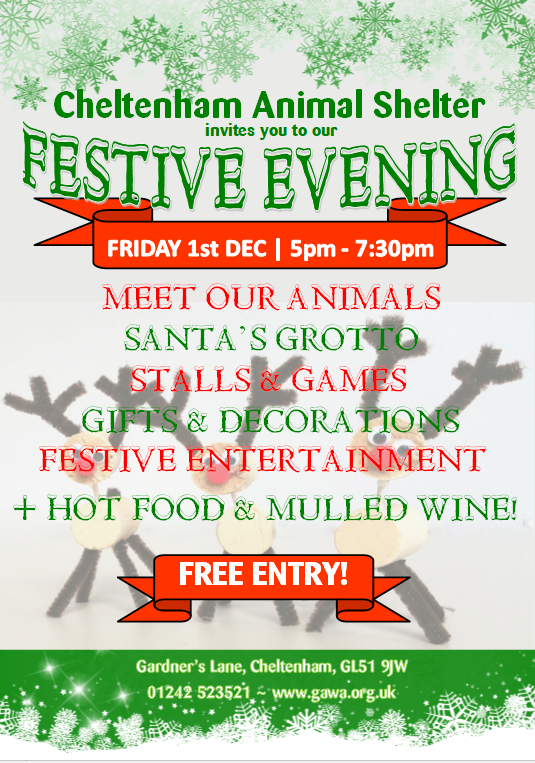 On the evening of Friday 1st December the Shelter will host a wonderful celebration of Christmas with entertainment, shopping opportunities, hot food and mulled wine. The Cheltenham Ladies College singers will be greeting you and Santa will be opening the event before making his way to Santa’s Grotto to greet the children. The BBQ will be turning out burgers and hot dogs with tea, coffee and cakes available in our classroom. Corporate supporters Paish Tooth will be offering mulled wine and mince pies throughout the evening. Entertainment continues in our paddock with Winds of Change playing a delightful mix of seasonal songs while stalls offer the opportunity to stock up on gifts for family and friends as well as our furry loved ones. 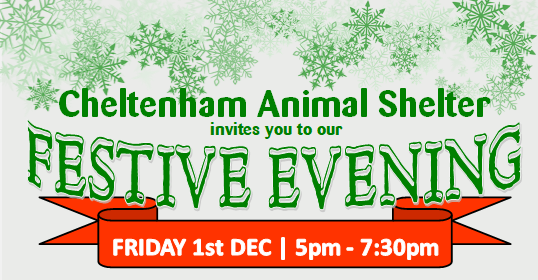 Jewellery, cosmetics, animal treats, ornaments…the stalls will have it all!